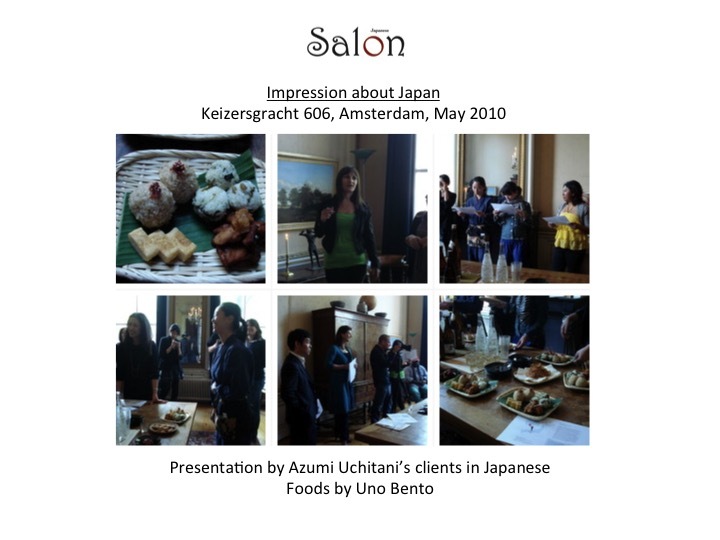 Azumi produces and host Japanese evening or afternoon with Japanese culture workshops, talks, exclusive art exhibitions, with drinks, dinner, lunch or high tea for corporate and private groups. 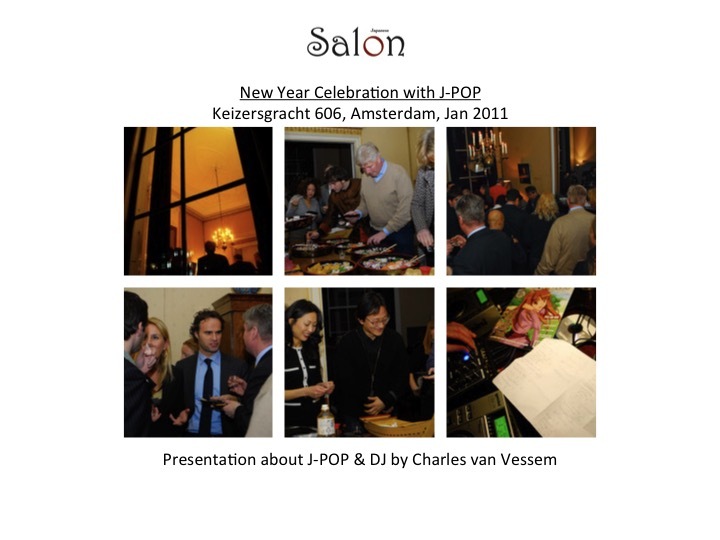 Popular for team building, entertaining clients, special openings, new year parties. 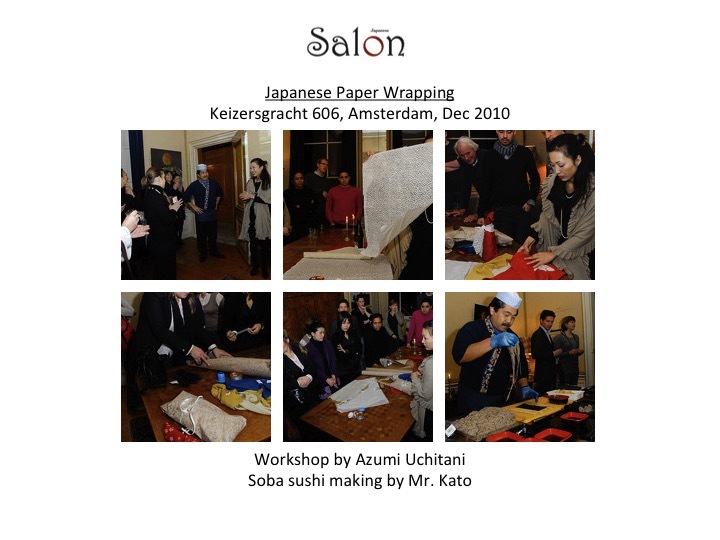 Azumi's motto is "learn while having fun" - to let the participants "experience" and enjoy the essence of Japanese culture & aesthetics in an elegant setting, incorporating purpose of the event. 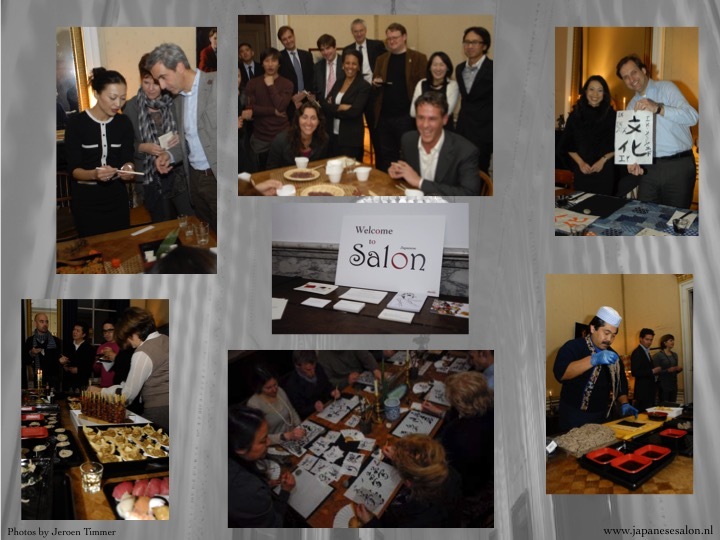 For busy HR manager, management PA, organising an event for the company is time consuming. 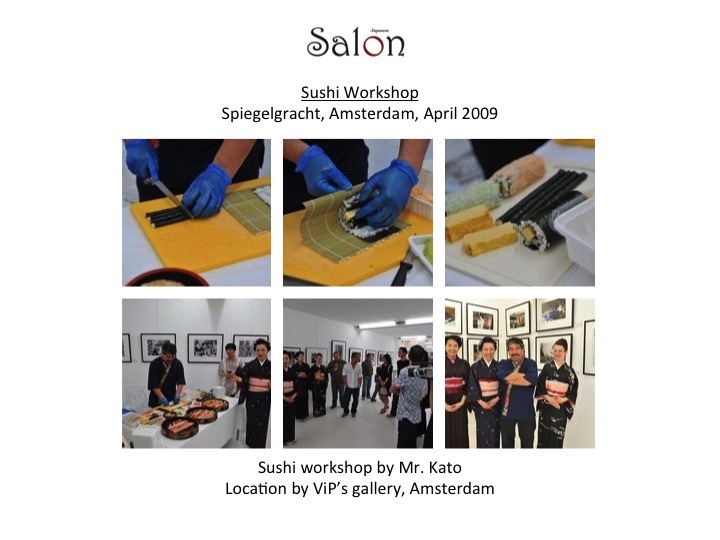 Working with the trusted partners and team of professionals, we can take care of organising the entire event, from the theme of events, to selecting a catering and location. 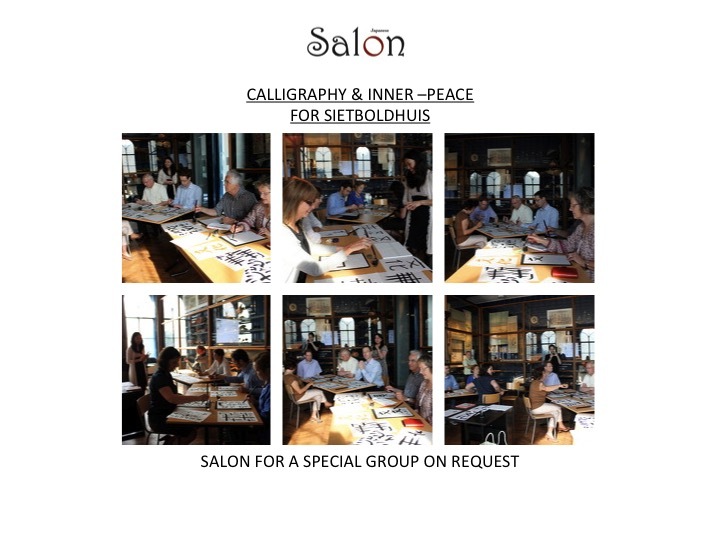 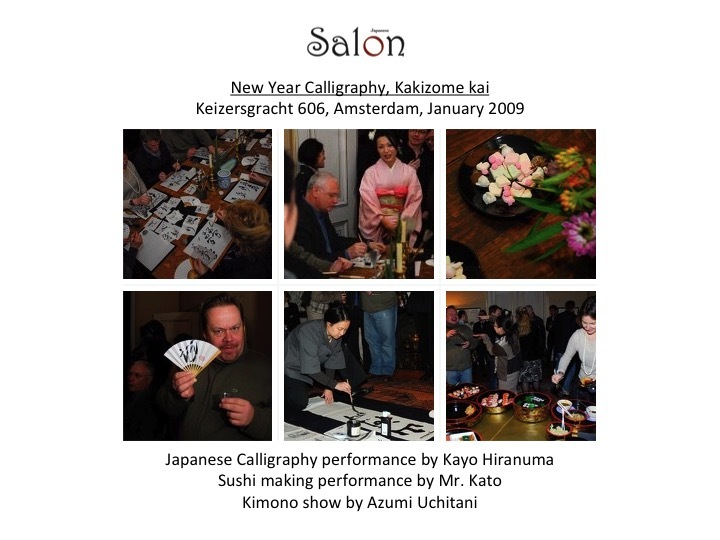 Variety of themes are available, New Year calligraphy is one of the popular theme in January. 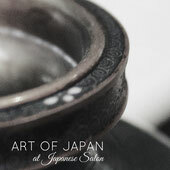 Japanese High Tea in the afternoon, Sake tasting, Private art vernissage. 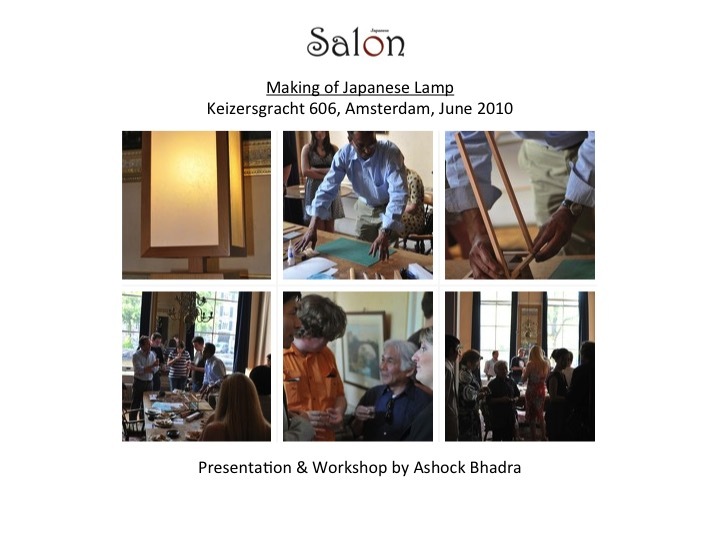 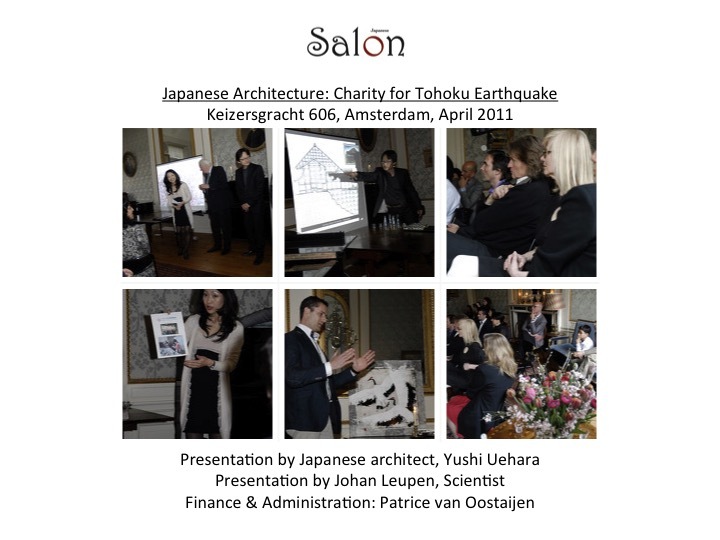 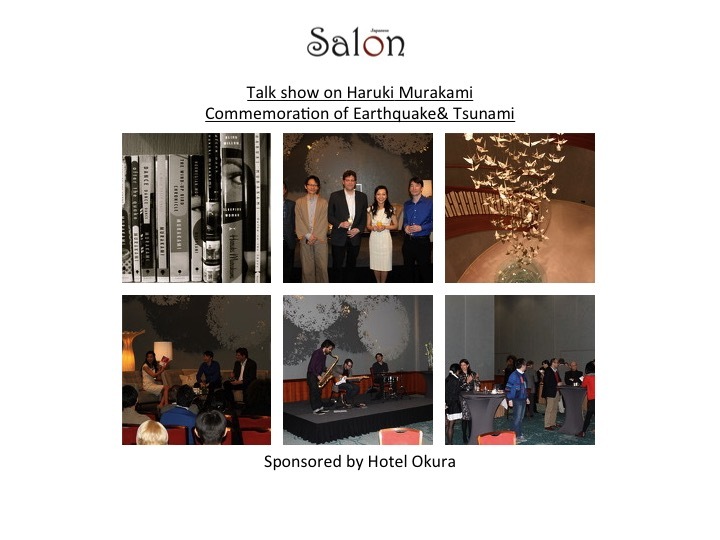 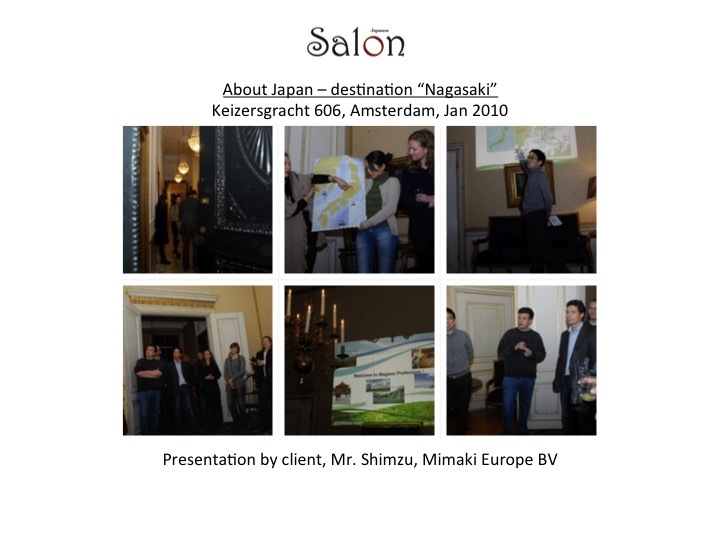 "Japanese Salon" was born out of Azumi's passion to deliver the essence of Japanese tradition at a historical Dutch settings. 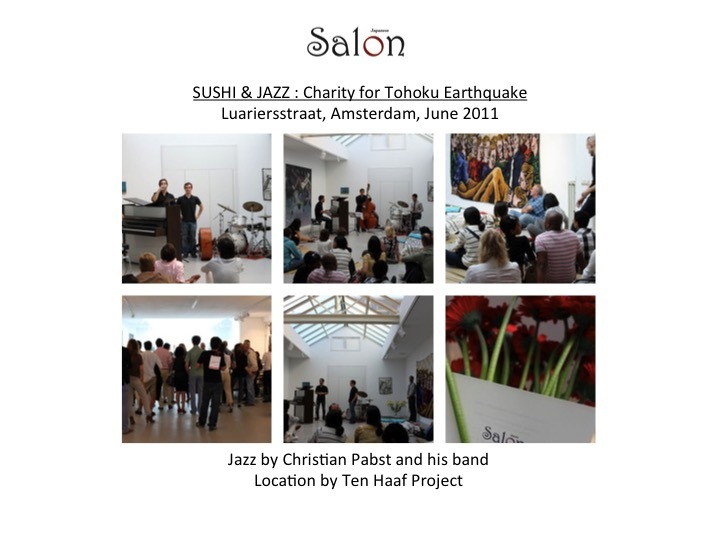 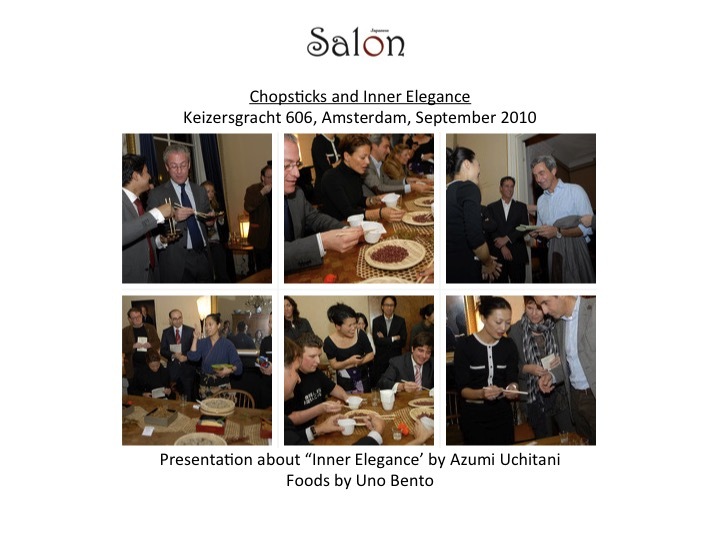 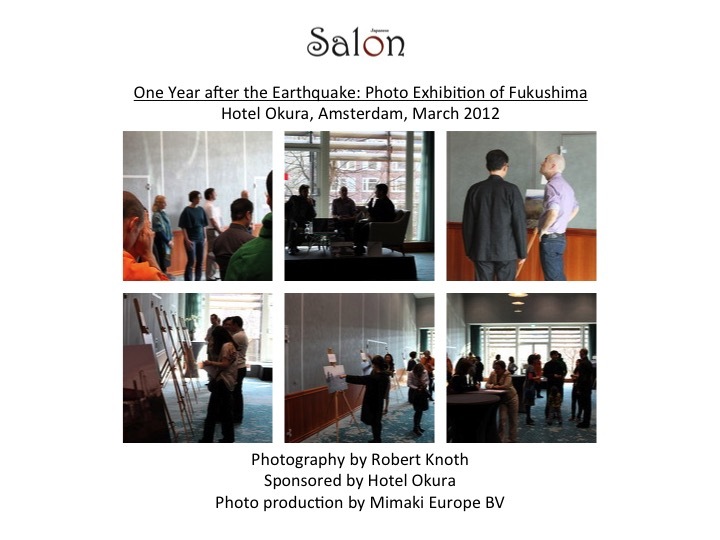 Over the years, Azumi has produced numerous Salons & workshops for private clients and for luxury brands, art & design, hotels, such as Chopard, Marlies Dekker, Hotel Okura, Marcel Wanders Studios.